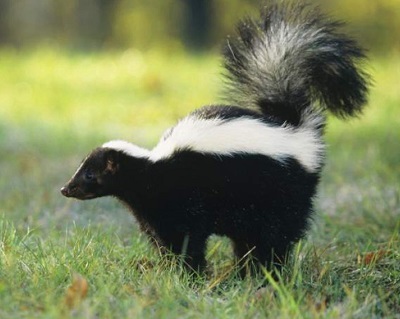 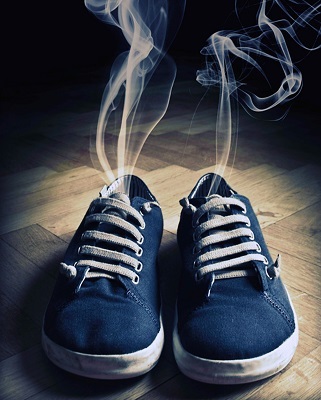 STINK HAPPENS—ELIMINATE IT. 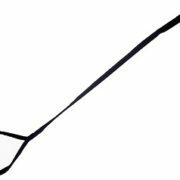 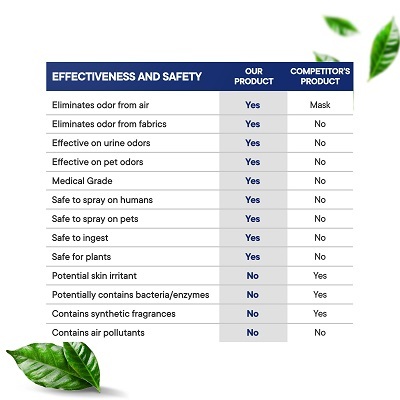 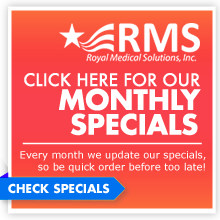 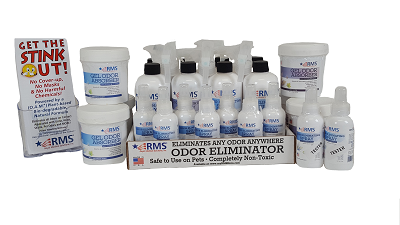 Odor Eliminating Products from RMS are safe to spray on people or pets because our products are medical grade. 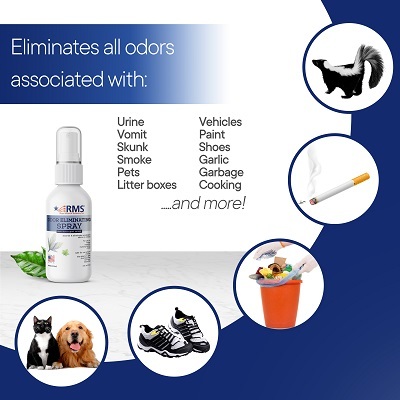 Eliminates all odors associated with pets (urine/feces), skunk, vomit, urine, diaper, cigarette/cigar/pipe tobacco, garbage/rotten food, cooking, garlic, mold/mildew, paint & gasoline. 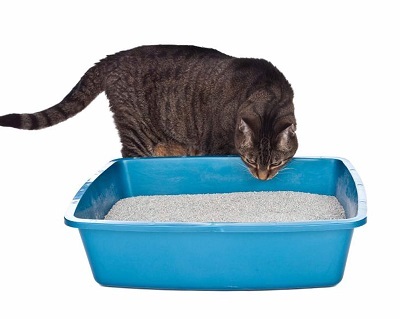 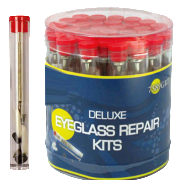 Safe for furniture, fabric, bedding, litter boxes, vehicles, and more. 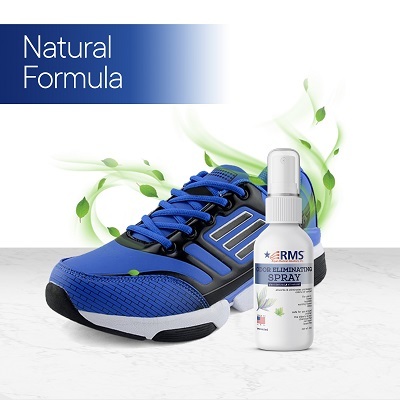 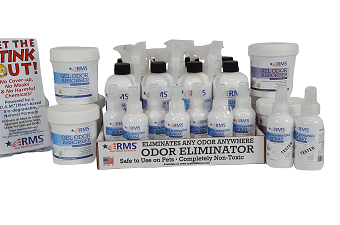 The molecular structure of the RMS Odor Eliminator is lattice-like, so it is able to quickly bond with odor molecules. 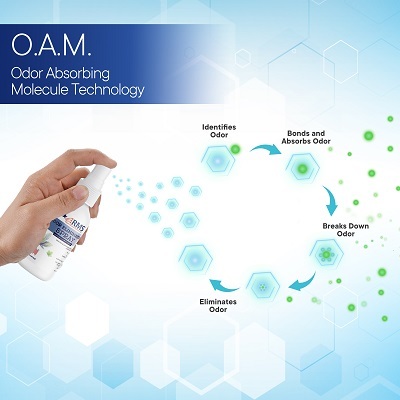 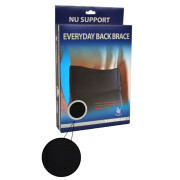 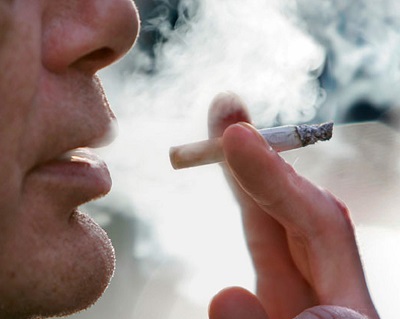 It then encompasses the molecule, preventing future odor from escaping and does not mask or cover odors. 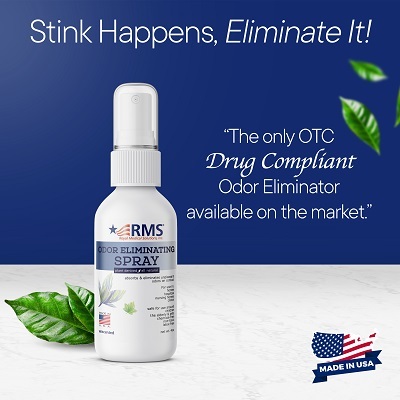 The RMS Odor Eliminator is a proprietary formula that is free of parabens & phthalates, triclosan, formaldhyde, artificial colors and additives.